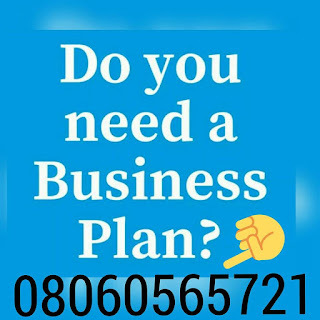 This Fashion Design Business Plan In Nigeria Feasibility Studies Is Regularly Updated And Can Also Be Used For Bank Loans, Grants Etc. GET YOUR FASHION DESIGN BUSINESS PLAN IN NIGERIA. To place an order, pay N10,000 to GTBank (Guaranty Trust Bank) Account Name – Chudi-Oji Chukwuka Account No – 0044157183 After payment text your name, your e-mail address and bank teller number to 08060565721 and you’ll receive your FASHION DESIGN BUSINESS PLAN IN NIGERIA / FEASIBILITY STUDY. Are you wondering about a lucrative business to start, the fashion industry is a sure one. Have you ever heard people say that looking good is good business? literally it is. The fashion industry is concerned with making people look good and of course everyone wants to look good, so if you decide to pitch your tent with the fashion industry, it is not a bad decision at all, provided you are creative.The secret for making it in fashion design business is creativity. As long as you are creative, you will get patronage. There is always market for fashion in Nigeria. People go to a lot of events which include weddings, parties, etc. And for all these events, they need to dress up, hence the ready market. There are brands that are recognized when it comes to fashion, but that doesn’t mean you can’t make your mark. Try out your designs on corporate wears, party wears etc. Just have it at the back of your mind that you have to make people look glamorous and you are good to go. Fashion designing is very lucrative, no doubt about it. Take a look at Calvein Klein, his net worth is 1.7 billion dollars. And how about Giorgio Armani. He is worth 7.2 billion dollars. They didn’t start big, they started small and now they’ve grown their brands to be recognized globally. So there’s really nothing stopping you. Just be creative and you’ll get patronage. The best way to start is starting. There is no mystery surrounding fashion designers. They are just creative people that design fashionable clothes for people. So if you know your way around fashion, that’s a good place to start. If your mind is now made up, we’ll help you with setting up the business aspect. We are in the 21st century and to be successful at anything, you’ll need training on that. Professional training is required in almost every business venture and Fashion designing is not exempted. Otherwise you won’t be able to put pieces of materials together to make cloths. There is no magic in this, if you want to be good, and get people to like your designs then you have to be good and to be good, you need training at any fashion design institute. The duration of the training differs as every institute has their own calendar. However it is normally between 6-15 months. See to it that you are trained by professionals who are really good at what they do as the person who trains you is a major determinant to how successful you’ll be in the business. When you are trained by a good fashion designer, you become good and vice versa. No matter how small you start, the good news is that you can become big, if you are creative and committed. Also you need a good location for your business. You have to be located at a strategic place that makes you visible and accessible. This would attract customers to your establishment. Customer Care should also be properly looked into. It equally helps in attracting and keeping customers. So you have to be very careful when selecting your employees. You need capital no doubt. How much doesn’t matter. You just need enough money to buy the necessary tools and equipment, and you’ll be good to go. You can raise this money from your personal savings, family and friends, bank loans etc. Your tools and equipments are really important. You cannot do without them. So you must get them. You can start with the basics like sewing machines, measuring tapes, scissors, needles, etc. But as your business expands , you can bring in the complex ones like embroidery machines, weaving machines etc.